The key to weight loss, according to "The Biggest Loser" trainer Bob Harper, lies in following a set of basic diet guidelines. Harper details these guidelines in his book "The Skinny Rules." One of these rules advises followers to limit their intake of high-carbohydrate foods in the latter half of the day, and Harper's program is commonly referred to by this concept: the No Carbs After Lunch Diet. Talk to your doctor before starting the plan, especially if you have a chronic medical condition. Besides eating only low-carb foods like vegetables and lean protein after lunch, Harper's 20 Skinny Rules instruct dieters to consume three meals and two snacks each day, to drink water before each meal and to include a source of protein every time you eat. Avoid all fried and fast foods and incorporate specific items like berries and apples into your meals daily. Harper's book includes separate 30-day meal plans designed for men and women, each of which allows a splurge meal weekly. A typical day on the No Carbs After Lunch Diet might start with a breakfast of fresh berries and nonfat Greek yogurt paired with whole-wheat toast spread with a mashed banana. Lunch could be a mayonnaise-free tuna salad containing drained canned light tuna, olives, tomatoes, capers, minced shallots, chopped leafy greens and whole-wheat pasta. Salmon served with cauliflower, tomatoes, squash and peppers could be dinner. 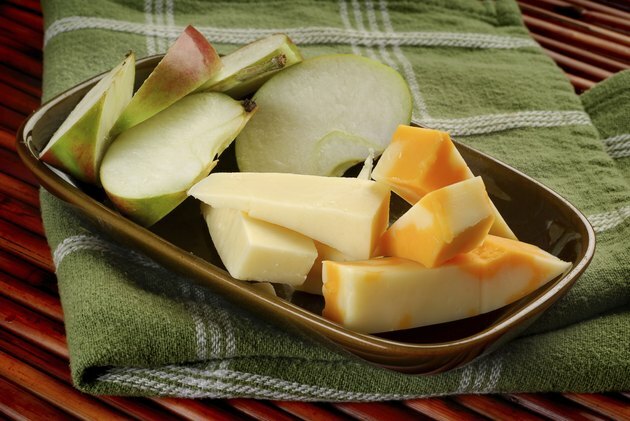 A sample midmorning or afternoon snack might be a whole apple and an ounce of cheese. "The Biggest Loser" contestants whom Harper trained to follow his Skinny Rules plan successfully lost weight. The diet emphasizes high-fiber, low-fat, nutrient-dense foods like lean poultry, seafood, beans, fresh produce, nuts, whole grains such as quinoa, nonfat dairy products and heart-healthy fats like olive oil and avocados. Dieters are provided with a variety of specific meal plans and recipes that are each 350 calories or less, making it simple to stay within the program's guidelines. A study published in 2008 in the "American Journal of Clinical Nutrition" supports Harper's assertion that eating more protein can aid with weight loss. Limiting your carbohydrate intake after lunch may not be an effective weight-loss strategy, reported a study published in "Obesity" in 2011. By contrast, the researchers found that eating the bulk of your daily carbohydrates at dinner might help obese individuals lose weight and lower their risk of diabetes. Harper's plan does not recommend an exercise program and may not provide enough calories for people who are physically active. Shape: Can Cutting Carbs After Lunch Help You Lose Weight?